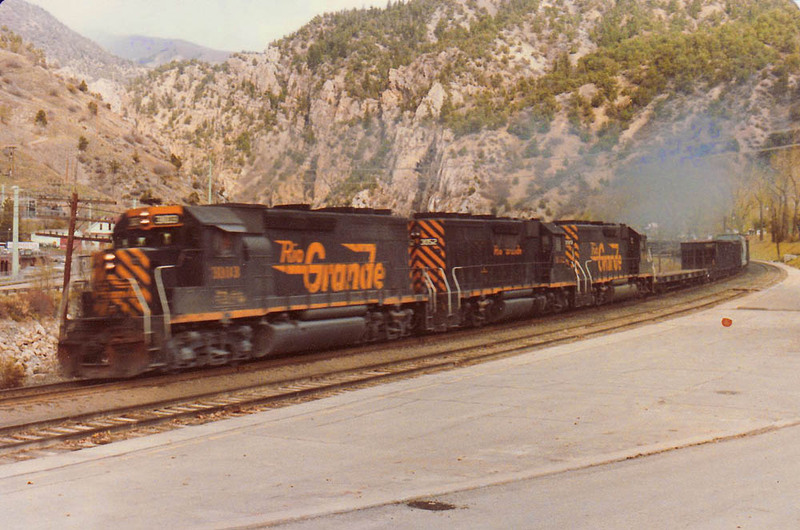 I was fortunate to get a few photos in the last years of Rio Grande operations (which effectively cut off about 1992). At first all I owned was a 110 instamatic camera, but in March 1984 I was given a decent Minolta 35mm unit and the quality of photos improved immensely. I only wish I’d been able to shoot slides too. 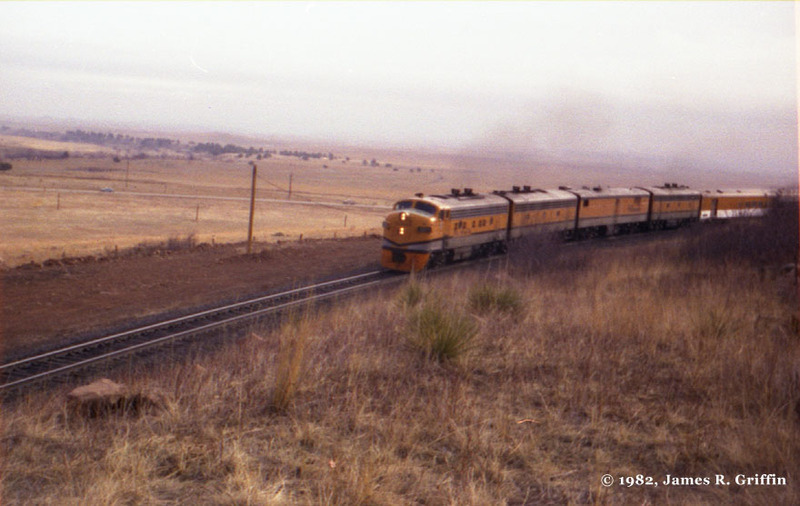 Here is a sampling of my imagery from that period– passenger trains, freight trains, scenery, sites and such. I’ve also included a few scenes from the 1990s since they had not changed substantially from the formal Rio Grande era. As usual, click on the pictures for larger versions. The last operational F-unit on the Rio Grande, F9 No. 5771, leads the Ski Train on March 24, 1984. It’s rounding the curve in Coal Creek Canyon on the way up to Tunnel 1. My first “railfan” photo (i.e., going out specifically to photograph a train). 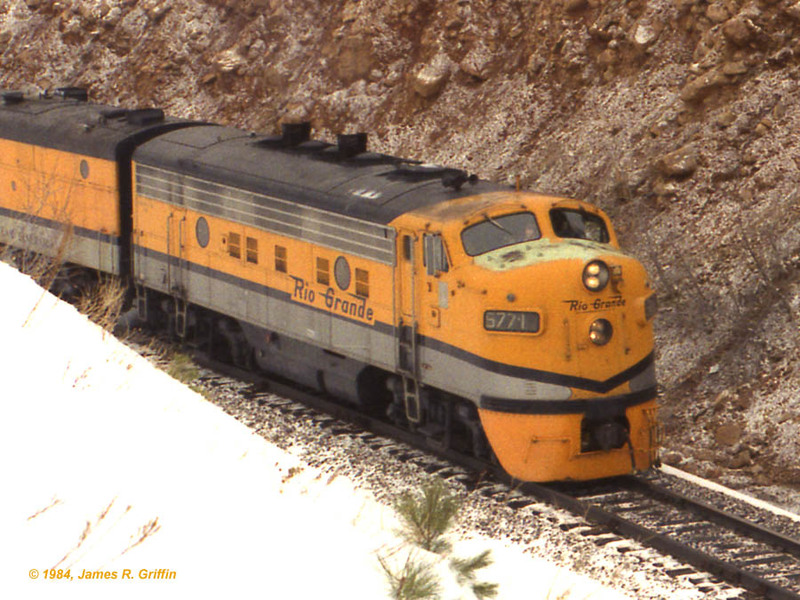 The Rio Grande Zephyr rounds the curve between Clay siding and Blue Mountain Road in early January 1982. It was a short train that Saturday. Two of the dome coaches were loaned to the Ski Train (Mayor’s special) that was following 10 minutes behind. Refer to previous photo: here’s the Ski Train (Mayor’s annual special run), approaching the crossing at Crescent. Two GP40-2’s are the power, and you can see the two stainless steel dome cars at the front of the train. January 1982. The call forms for all of these runs are in a file at the Colorado Rail Museum and I saw the sheet for this day but didn’t make a copy; one day I will get back there and do a little more research. Bitterly cold winds greet buffet your intrepid photographers and the approaching RGZ at Plain Siding, sometime in early 1982. 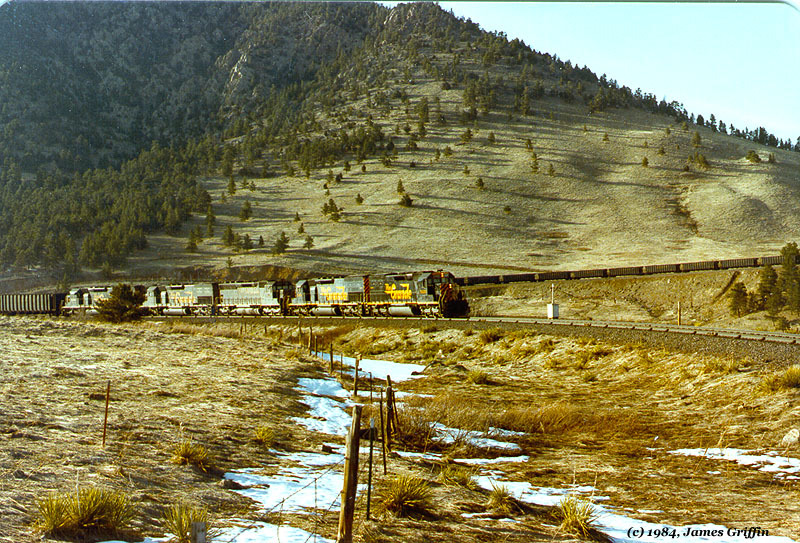 In Spring of 1968, a westbound freight powered by a trio of new SD45s approaches the east portal of Moffat Tunnel. The area has changed a lot since that time. 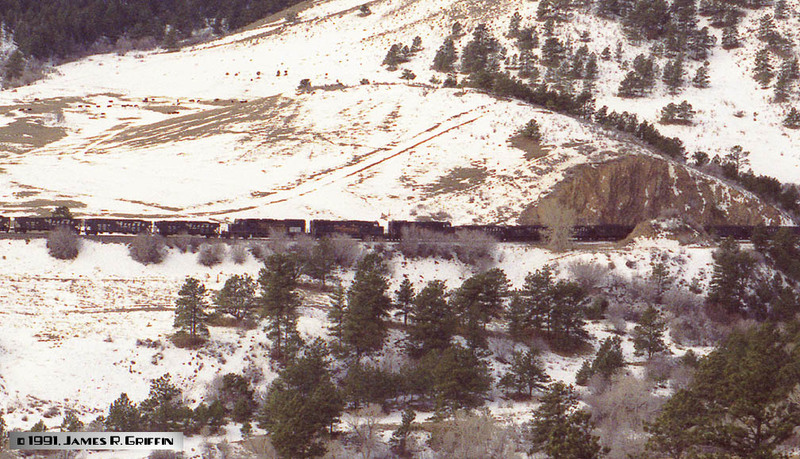 An eastbound coal load with a total of nine locomotives is descending the front range on November 20, 1991. The train consists of 105 company hoppers, mostly Bethlehem quads with a smattering of second-hand cars. 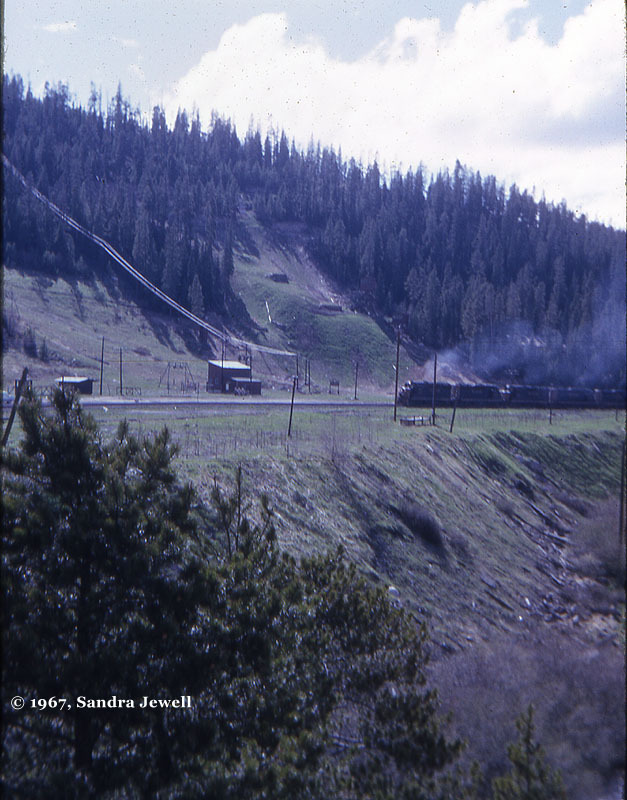 Top: It’s coming down the hill between Plain siding and tunnel 1. Two tunnel motors and a pair of SD50s lead it. Top center: three-unit swing helper set: one SD40T-2 and a pair of SD50s. Bottom center: the rear helper pair comes around the corner. Bottom: seen from across the mouth of Coal Creek canyon. I had to run through the tunnel behind the train to achieve this photo. 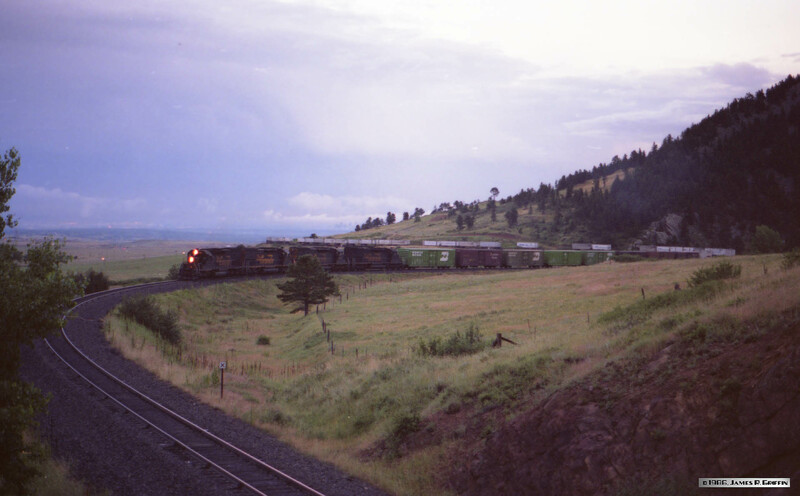 Rio Grande train number 101 is hustling westbound across Blue Mountain Road towards Coal Creek Canyon at dusk on a July evening in 1986. For power it has four tunnel motors led by No. 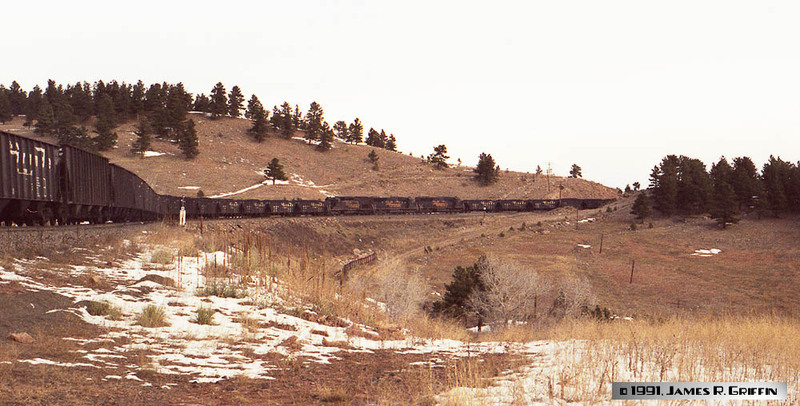 5348; eight insulated boxcars of Coors beer follow, with a long string of piggyback trailers behind. 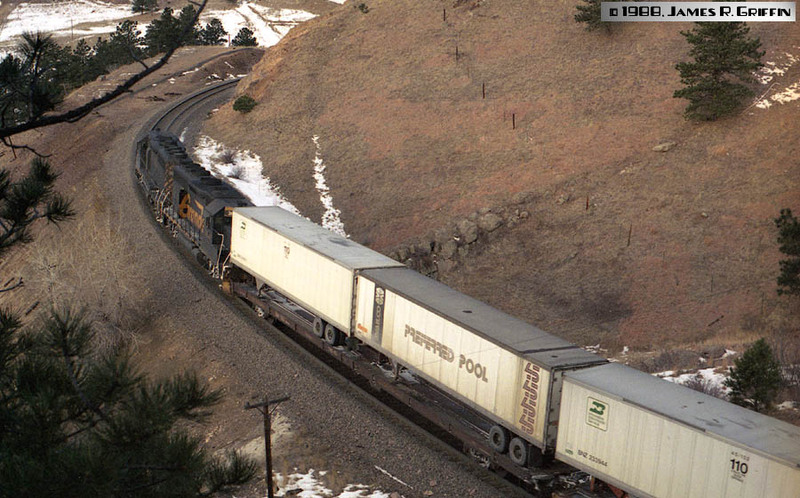 Here’s a westbound freight at Glenwood Springs on 11/08/1981. It’s led by GP40-2 No. 3103, GP40 No. 3052, and another GP40-2. My mother took this shot with some kind of instamatic camera. 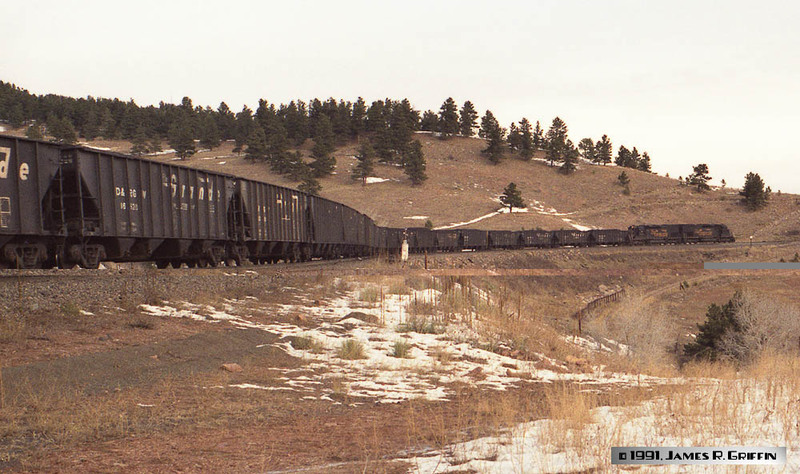 April 8th, 1984 finds an eastbound CSUX (CSDPU) coal train descending from tunnel 1. This afternoon’s train has five units up front and another pair behind the caboose. This 73-car train (plus caboose) is trying to stay ahead of the returning Ski Train. I suspect it halted at Leyden to let the passenger train pass. 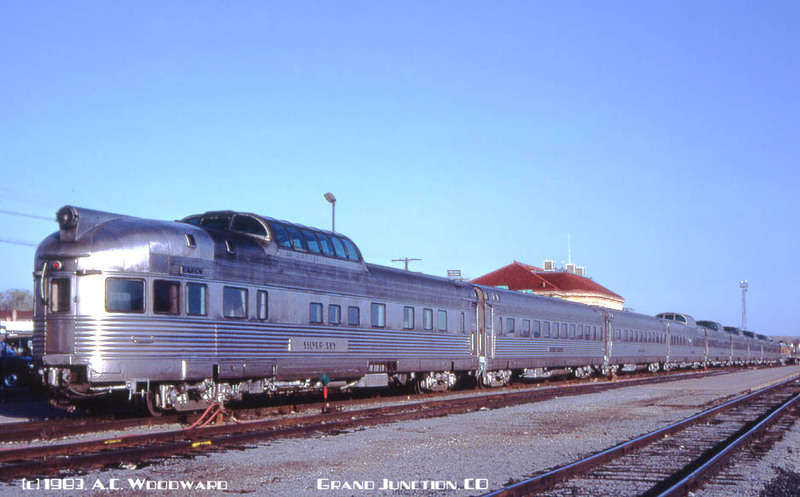 For the last years of its life, Rio Grande ran an interesting and somewhat famous little hotshot piggyback train between Salt Lake and Denver, overnight every night each direction. 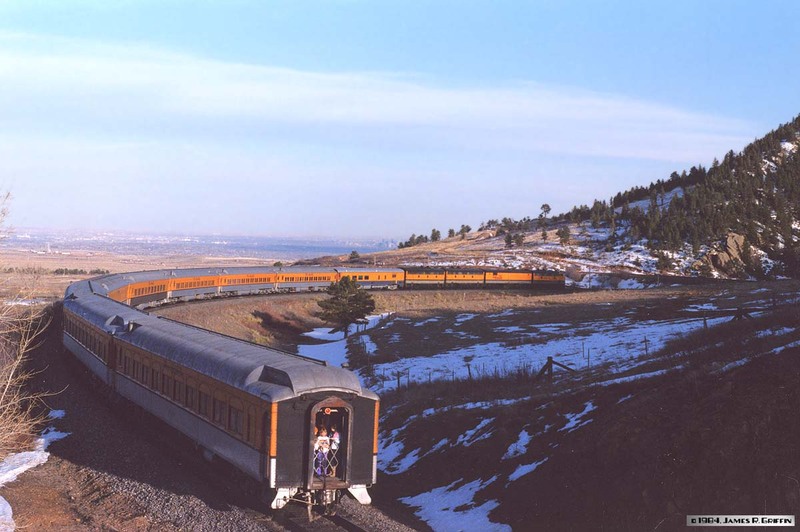 Here, on the morning of December 24, 1988, the eastbound movement is rolling out of tunnel 1 on the last leg into Denver. Nos. 3077 and 3116 are on the point (GP40, GP40-2). 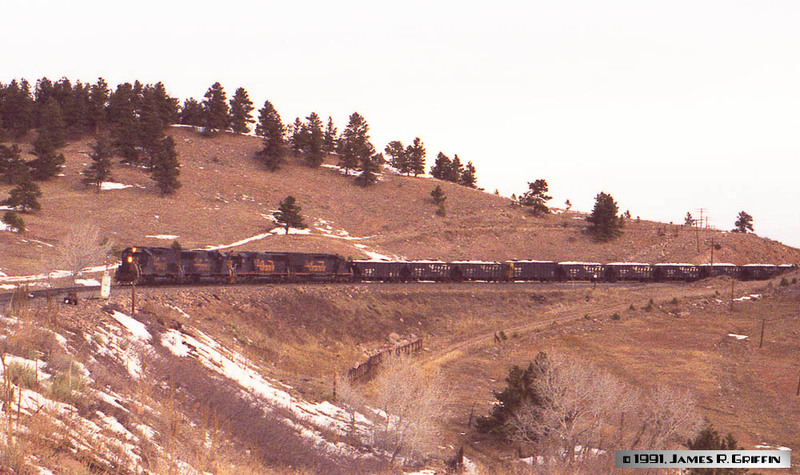 On the same day as above and maybe a half-hour later, a westbound freight climbed the hill behind four Rio Grande 4-axle units, spliced by an SP tunnel motor. The two railroads had merged some three months prior, and SP units became increasingly common on Grande rails. Operationally, though, the DRGW scheme remained in place here (for the most part) until early 1992. On November 20, 1990, a quick visit to North Yard showed off this string of D&RGW road power, spotted on a spur next to the crane track. SD50 No. 5506 and SD40T-2 No. 5348 (and what is probably 5401) are ready to go. 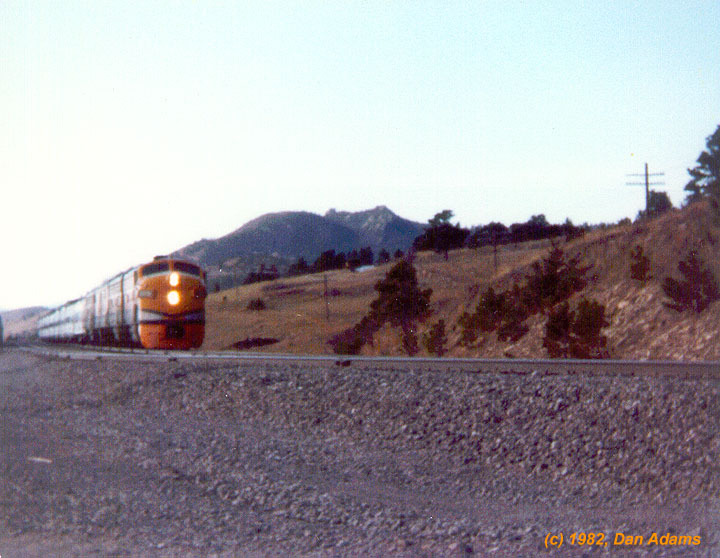 In the background is the diner/kitchen/sleeper car X-3274, assigned to the Denver derrick train. The famous Hanging Bridge in the bottom of the Royal Gorge. It’s an innovative solution to a unique problem: how to carry the alignment through a stretch of canyon too narrow to carve a typical right-of-way? 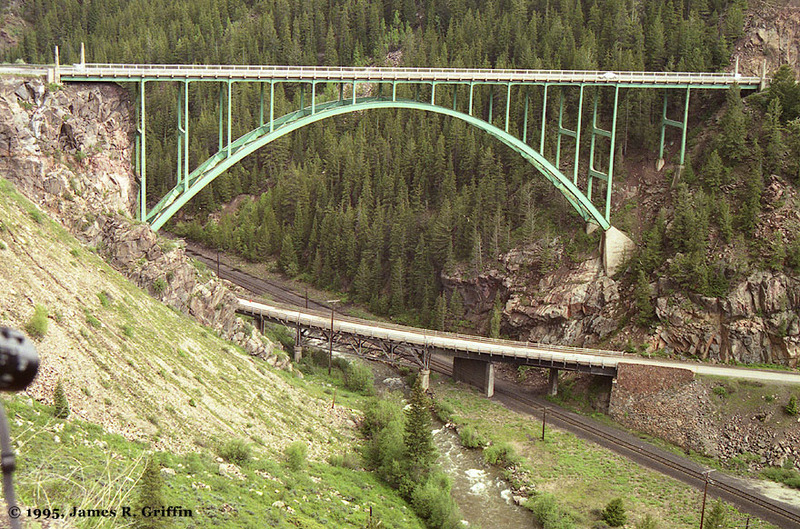 Answer: hang it over the river by anchoring girders in both cliff faces and suspend the bridge under it. Here is a plate-girder bridge over the Arkansas river in the valley below Kobe. 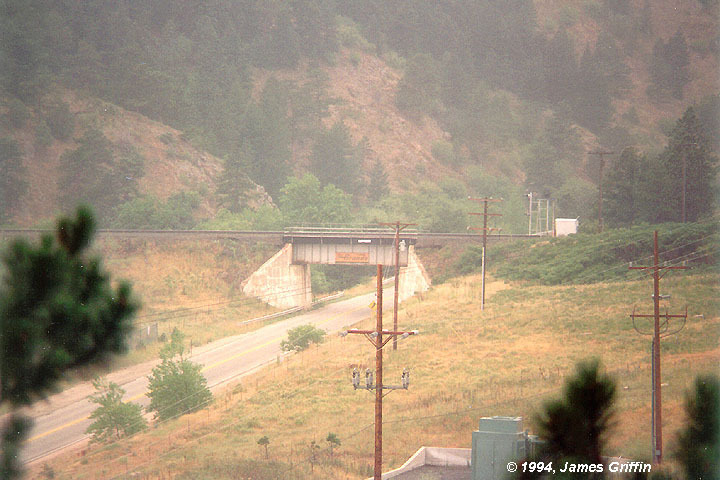 A short but familiar bridge to many, this is the one across the mouth of Coal Creek canyon. For many years it carried the Rio Grande sign shown here; around 1995 it was changed to a Southern Pacific meatball, and now it lacks any sign at all. More bridges! On the west side of Tennessee Pass is this spectacular exhibition of engineering: two highway bridges stacked over the railroad right-of-way. 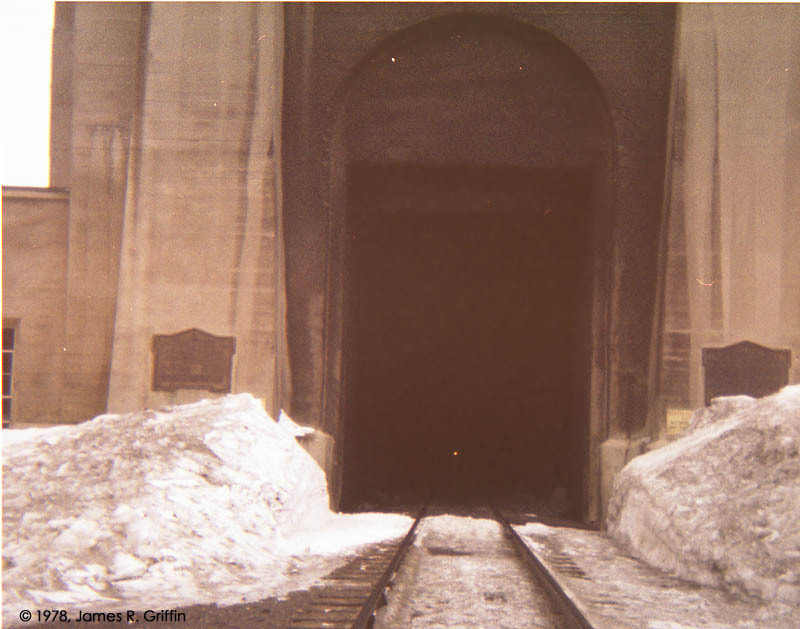 Bridge and tunnel: the west portal of the Moffat Tunnel as it appeared in 1993. 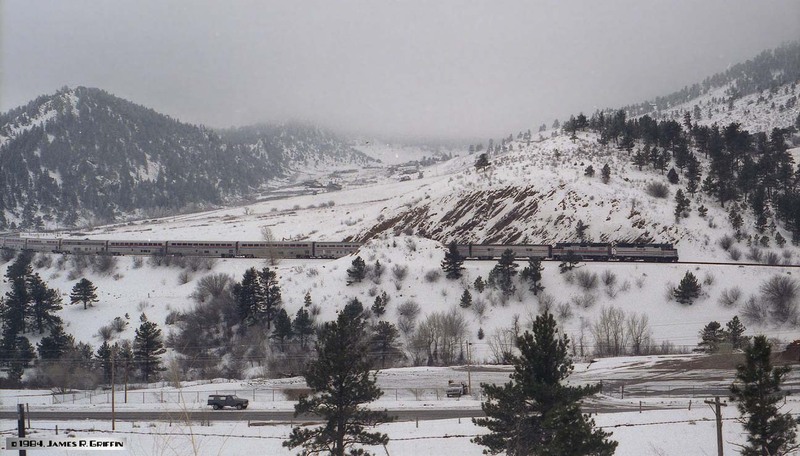 The scene has changed considerably since then, with the addition of camera bridges and new service buildings, signal replacements, ski resort additions, etc. 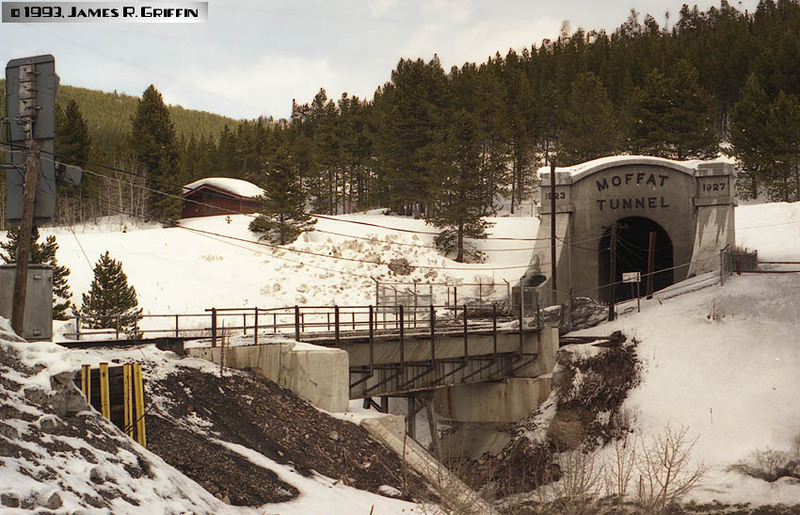 East portal of the Moffat Tunnel, March 1978. Here the curtain is up, and you can see the distant headlight of an approaching train. This is about 6 years prior to the rebuilding that modified everything here. Something completely different: a wreck cleanup. 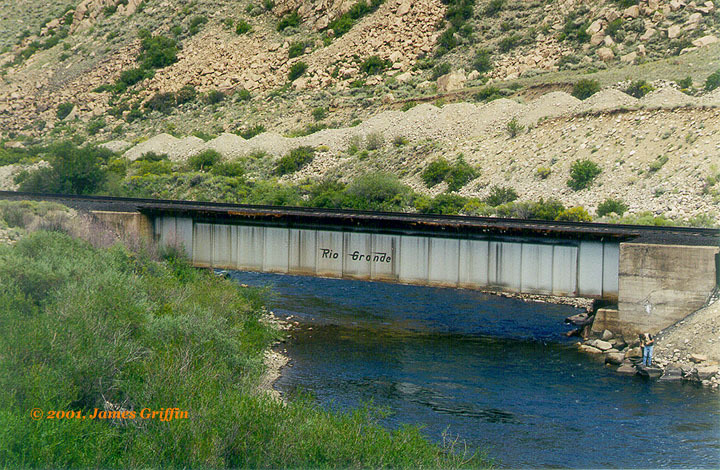 On August 7, 1982 (the day we got married, as it happens), a Rio Grande freight exited the west end of Byers Canyon at an excessive speed. There’s an extremely sharp curve here (20 degrees). The lead locomotive made it around the 20-MPH curve going 57 MPH, but all the trailing units left the rails, as well as a substantial portion of the train. 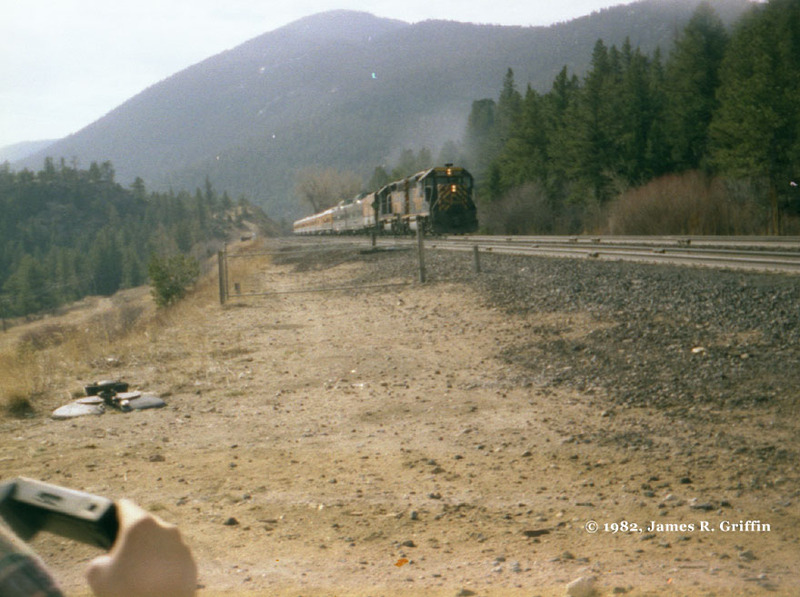 One week later, I took this photo from onboard the Rio Grande Zephyr. 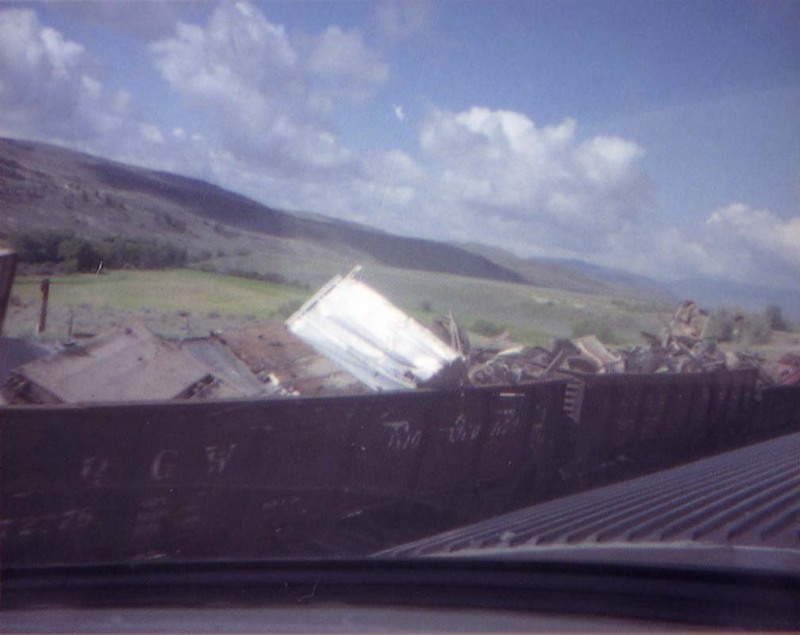 A number of gondola cars were parked on the house track at Flat (just west of Parshall), loaded with pieces of the wreckage from the cleanup. 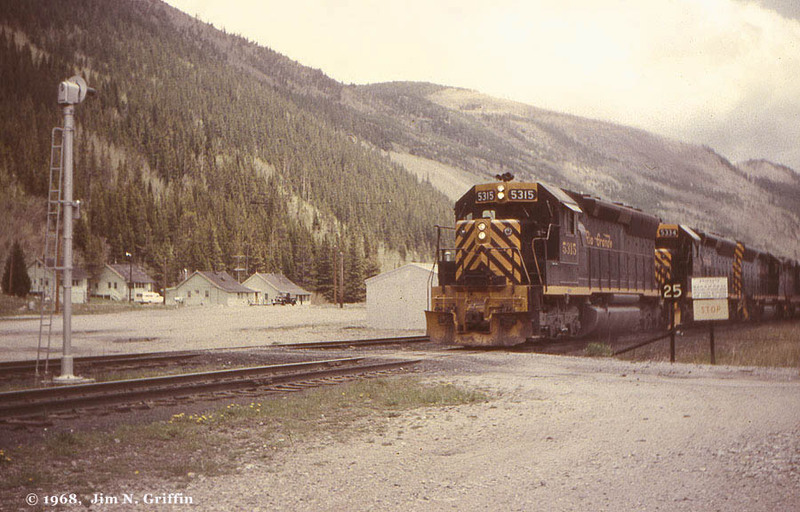 Near the operational end of the Creede branch, in the town of South Fork, there was until 2000 a pulpwood mill that shipped carloads of wood chips. 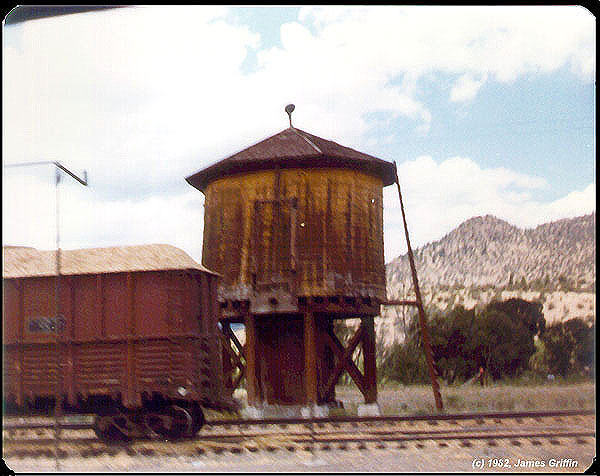 There is also an old water tank from the steam days. The tank is still there, though the mill is completely gone now. A tranquil scene (translation: disappointing because no trains came by! ): searchlight signals on the Joint Line in north Colorado Springs. That’s Cheyenne Mountain wreathed in cloud in the distance. 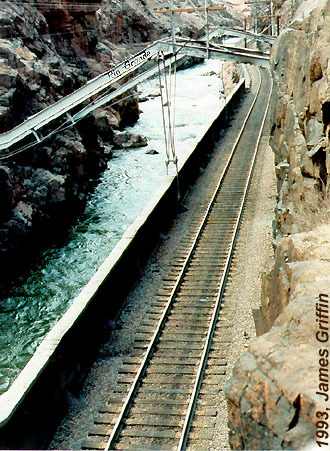 This portion of the Joint Line is single-track, thanks to Santa Fe abandoning its alignment through the Springs in 1974. Now it’s an operational bottleneck.